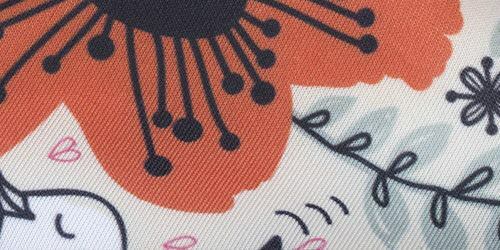 This Printed Scuba Fabric is a heavy-weight weft knitted ‘Lycra’ made using Spun yarns, weighing 8.1oz, it’s a solid fabric made of Poly-blend fibers including polychloroprene. With a built-in four-way stretch, the strongest stretch is in the direction of the weft. If you shine light through the custom Scuba fabric then you will see the pattern coming through from the surface, making the fabric partially opaque. 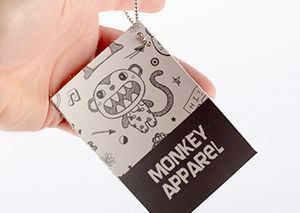 The custom Scuba fabric is popular for clothing. 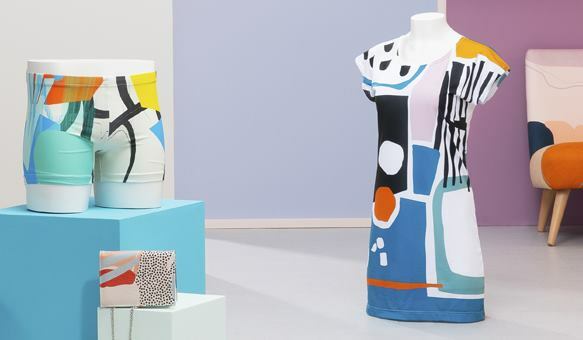 Print thick Lycra with your designs for fashion. The front texture is Smooth, thick and spongy making it a lively fabric due to the elasticity, the back texture is identical to the front. 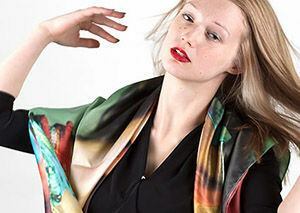 The feel of the fabric to the body is soft, flowing, enveloping the body in a comfortable way. The drape is nice and easy, hanging naturally and retaining its original shape once manipulated. 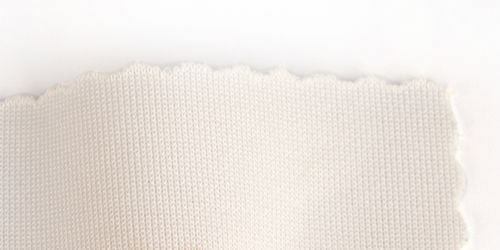 There is a Slight sheen to the finish to the white base color of the fabric. When it comes to color intensity, the range is bright and vibrant. The detail of final print, shows the intricacies of the work through the lines and detailing perfectly. It’s good for home furnishing accessories such as cushions. The natural vivaciousness of the material makes it perfect for use in garment making, in particular it’s used in the making of dresses and body hugging wearables. Loved it! Fast shipping! Fab shopping! Great Job As Always I'm glad I found you when I did. Didn't have the manufacturers on hand to make the products I wanted so I had to make them personally. You've always had my back when I needed new fabric made. Quick turn around and fast shipping. 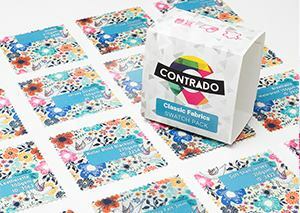 Excellent I was looking for a service to print on fabric and when I discovered Contrado I was very pleased. Clean and intuitive UI of their web app provided slick and easy way to design my print on the Duchess Satin and checkout quickly. UI Is very helpful providing accurate info about the look and feel of the fabric, image and canvas size. A few days later I received my Duchess Satin with my artwork on it and it was great. The colors, the feel, etc. I ordered 2 more large scale Linden Waterproof prints and was worried that manufacturing could take longer. Andrea, at customer service was very responsive and ensured me that my artworks would arrive on time. What is the difference between the Scuba and the Heavy Matte Lycra? The Scuba is pretty similar, apart from the weight which is 0.7oz heavier than Heavy Matte Lycra. The Scuba also has a very slight sheen, although in comparison to the Lycra soft sheen it barely looks like it has any at all. Am I able to print in really intricate detail on the Scuba? 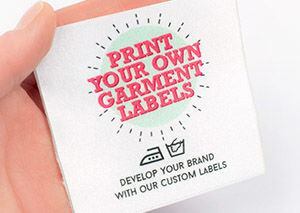 The custom printed Scuba fabric provides a perfect blank canvas for your prints, with designs coming out crisp and with sharp fine lines successfully. 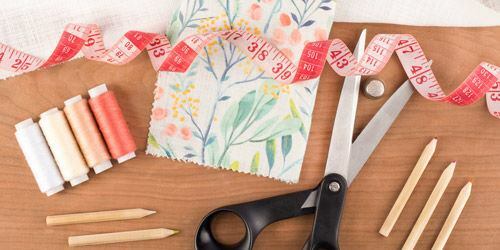 Is there a minimum amount of fabric that you have to order? 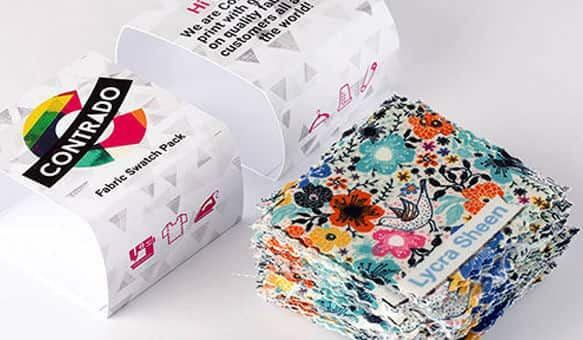 There is no minimum, but we would suggest not making an order smaller than 40in x 20in, as that's the fixed price starting point for the fabric printing. 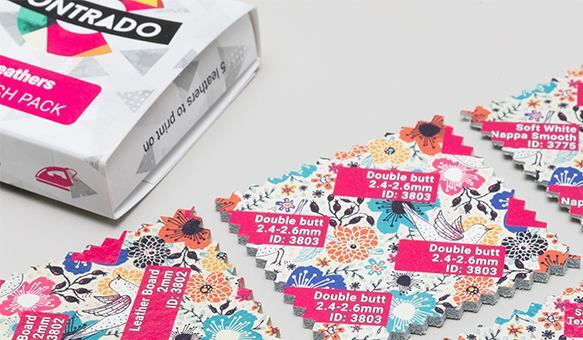 If you'd like a small sample, we would suggest ordering a test print with your own patterns and designs. Or a swatch book full of our printed samples.